Successfully Added XIAOMI Redmi Note 3 Pro - 3GB RAM, Snapdragon 650 CPU, Dual SIM, 4G, Adreno 510 GPU, 16MP Camera, Fingerprint Scanner (Grey) to your Shopping Cart. World’s first smartphone to feature the new Snapdragon 650 CPU. The Redmi Note 3 is the latest flagship handset from one of China’s leading phone manufactures, Xiaomi. With its premium metal design and impressive hardware this Chinese smartphone is guaranteed to leave an impression like never before. Featuring a Hexa-core Snapdragon 650 processor along with ARM’s flagship cortex A72 architecture the Redmi Note 3 can be considered as an ultra fast smartphone that can launch apps in a split-second. Along with its next-gen Adreno 510 GPU and 3GB or RAM this Chinese flagship smartphone delivers a fluid and smooth gaming experience. Download the latest Apps and games in the play-store and take your mobile entertainment experience to an entire new level – with its 403 pixels per inch 5.5 inch FHD display the Redmi Note will let you enjoy mobile games like never before. Packing a whopping 4000mAh battery this Chinese smartphone offers you peace of mind knowing that you get through the day without worrying about running out of juice. Due to its ultra-thin battery the Redmi Note 3 is capable of packing a lot of power while keeping a sleek and light weight design. With its elegant metal case the Note 3 does not only look beautiful, it feels sturdy and resilient as well. This sleek and beautifully designed smartphone is guaranteed to turn some heads. With its 4G connectivity and dual band Wi-Fi, the Redmi Note 3 supports the fastest data connection available, allowing you to stream movies and download files in the blink of an eye. Be constantly connected with friends, family, and colleagues – dual SIM slots make it possible to quickly switch between sims without physicaly swapiing them out, giving you the perfect platform to separate work and private life in one device. Snapping pictures with this flagship smartphone becomes a real pleasure with its 16MP rear camera. Capture stunning and professional quality shots thanks to the phone’s Phase Detection Autofocus feature and instantly share them with friends and family. With such powerful camera at your disposal you can be ensured that not a single unforgettable memory will ever be left un-captured again in the future. 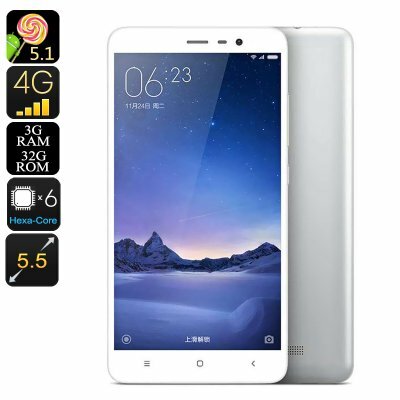 The Xiaomi Redmi Note 3 Android smartphone comes with a 12 months warranty, brought to you by the leader in electronic devices as well as wholesale Android phones..